Let’s face it, who doesn’t like cheese? Blue Cheese buds are a blessing for the foodies out there. With their intense flavor, courtesy of cheese and the subtle touch of blueberry is more than enough to make the blue cheese a personal favorite for everyone out there. It’s very easy and quick to grow considering its mind boggling, overwhelming and long lasting effect on the taste buds. The taste of this smoke is a little spicy with a sweet candy hint with a strong berry hit on the exhale. The best things about these plants is the way it easy you into feeling of euphoria. The essence of each smoke remains there for a long time and it just keeps getting better and better with each puff. These seeds are highly used in the medical field as muscle relaxants for pain management. 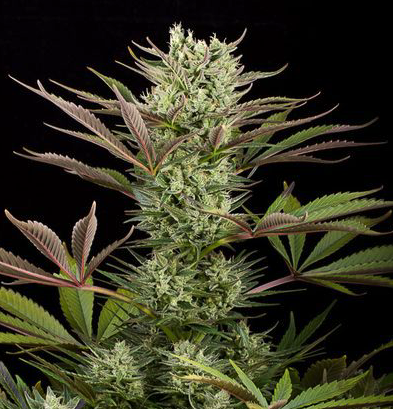 Blue Cheese has strong side branches with heavy colas during the short amount of flowering period. These strains have a pretty high yield rate and they can grow up to about a 100 cm. Another upside of growing these is that they don’t require a controlled indoor environment, they can also be grown under the sun. They hold up pretty well in cold climates as well. Blue Cheese seeds also require a great number of nutrients to grow properly. They are really hard to overfeed due to their growth rate, so no matter how much you feed them, it probably won’t be enough. Another reason why they’re so easy to grow is that they can hold up pretty decently against molds and infections. But, given how in demand they are and how they make the users feel, the hardships of growing them is a relatively small price to pay. Where to buy Blue Cheese marijuana seeds?